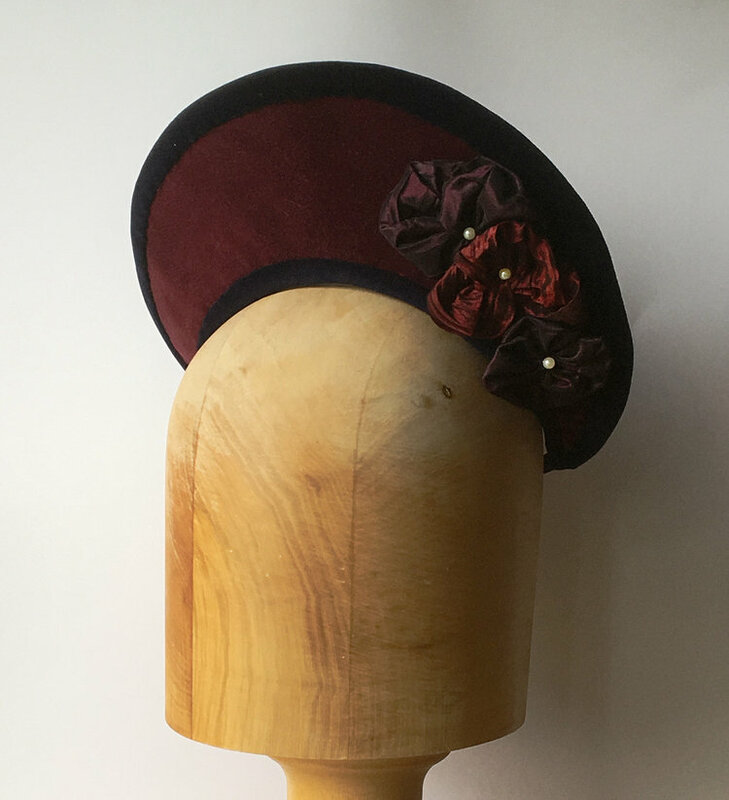 A lovely claret coloured cotton velvet hat. 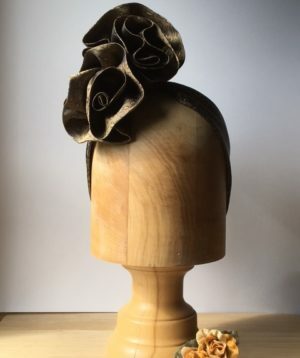 Worn like a headband in a reverse visor style, stiffened with double stiffened buckram and covered with dommet. 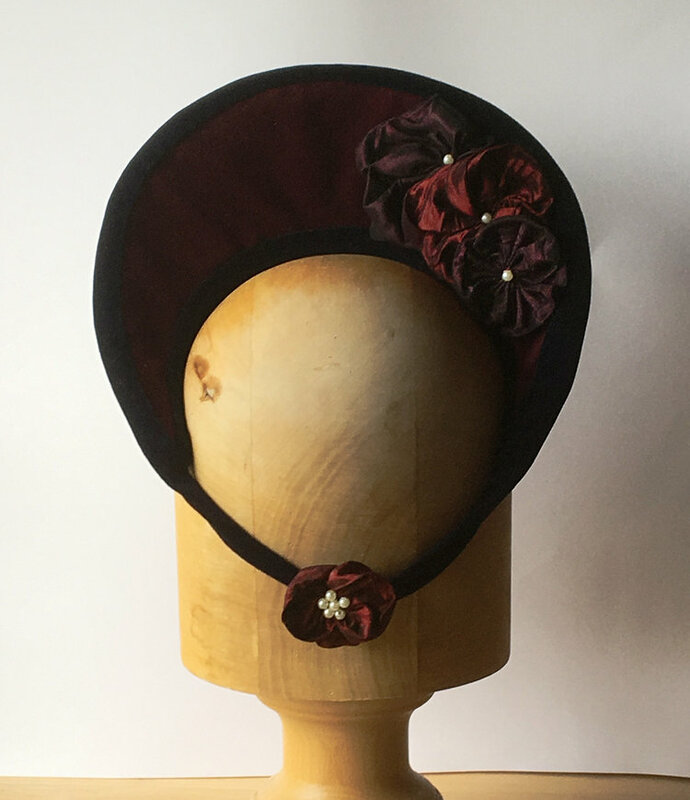 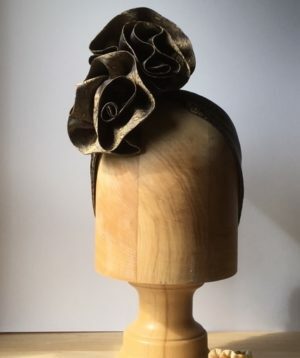 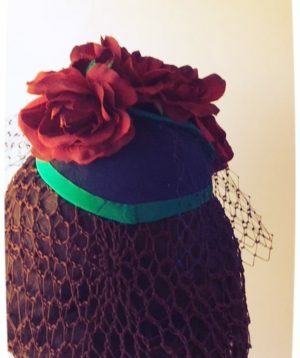 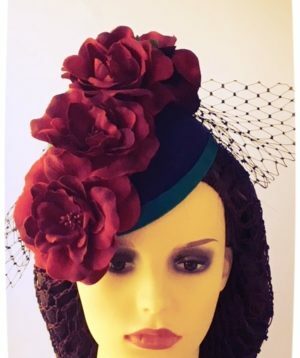 The hat is edged with a bias bound blue cotton velvet which continues on behind the nape of the neck, to be worn over the hair and is finished with a small hand made satin rosette. 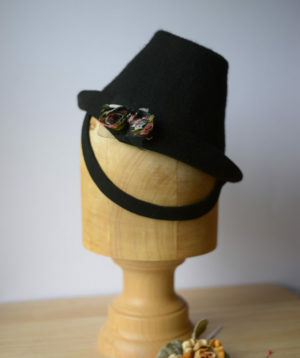 To the front and rear and on opposite sides of the hat are hand made satin rosettes placed in threes. 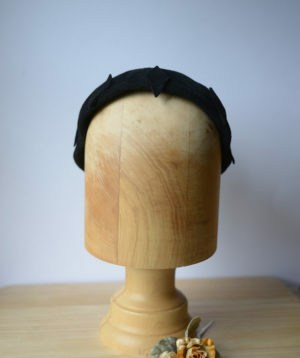 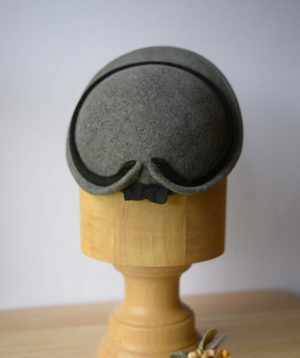 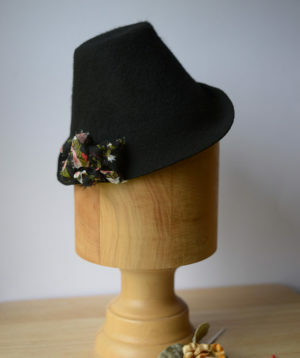 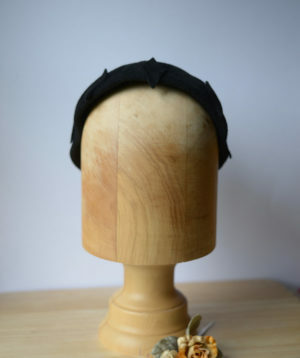 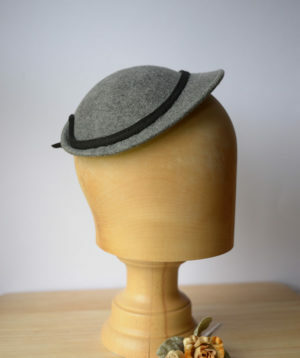 The fabric of this hat enables it to sit on the head well but small clips or an elastic can be added for more security.